here's the soup i've made today. it's very tasty and a definite make again when i split the massive pumpkin given to us the other night. i made the 'vegetable stock' with a mushroom stock cube. I make an extremely calorific cheesey pumpkin soup. I try to restrict making it to once a year though. I like pumpkin cubed and oven roasted with plenty of garlic and sage. I used to stuff the little ones - well ones that are about the size of grapefruit or a bit bigger - with a mixture of cheese, onion and breadcrumbs with a fresh herb - sage or rosemary - having rubbed around the inside with garlic. I haven't done it for ages. in the list of ingredients it doesn't mention the colour of the peppers and as i had only red that's what i used. if i have green peppers when i make it again i may try it with them but the red worked so well it would be hard to imagine that green would be better. my partner (who isn't a pumpkin lover) approved of it and said he'd like it again. - result! Catherine that sounds similar to mine. Kind of half way between a fondu and a stuffed veg. I love roasted squash, butternut, acorn and the various un-named varieties I get from the farm shop - my favourite is the Crown Prince - I always buy a few each autumn and keep them in the garage to use through the winter. However, I agree that the big Hallowe'en type pumpkins are pretty tasteless - I'd only cook with them if I had children who'd hollowed one out and my innate thrift didn't allow me to throw the flesh away. Think that's why pumpkin soup recipes traditionally include lots of tasty spices and/or cheese - they have little flavour on their own but a pumpkin soup is a cheap way to fill a crowd of children after a cold night out Trick or Treating, or after Guy Fawkes bonfire celebrations. the chowder i made was with part of a medium sized, mottled green skinned one grown at the community garden, not the orange monster type and not at all like it in texture and flavour when cooked. i will have to see if it was the recipe or the pumpkin/squash when i make it again with the monster i've been given..
i've used a quarter of the large pumpkin in the above chowder recipe (not at all tasteless, miss mouse, it has become a regular winter soup, here) so has anyone got any tested recipes for the rest? - especially the pumpkin pie - i haven't made one of those for years. I always look to Betty Crocker for traditional USA recipes. They may not always be classy but they always produce the results you get at an American family table IMO. I have noticed that canned pumpkin is nearly always recommended for pumpkin pie. I have bought it before, it is well mashed pumpkin and I think has some moisture removed so you need to prepare some pumpkin to that stage and cool it (I have done this before). Sweet shortcrust pastry- (they use a recipe with 1 cup of flour which on my scales comes to just over 5oz. Personally I would make 8oz or more for that sized dish). Prepare pastry in usual way and chill. Roll out to line the pie dish. Beat eggs slightly with hand beater, beat in remaining ingredients and mix till quite smooth. Place pastry lined plate on oven rack and pour in ingredients. Bake 425 degrees(220c. gas 7) for 15 mins. Reduce heat to 350 degrees (180c. gas4) and bake until a knife comes out clean - approx 45 mins. Refrigerate until chilled at least 4 hours. Serve with sweetened whipped cream. Can also be made with mashed sweet potato. For a Sweet Praline Pie, decrease the second bake to 35 mins. Prepare a mix of 1/3 cup brown sugar 1/3 cup chopped pecans & 1 tablespoon softened butter. Sprinkle over the top of the pie and bake until knife comes out clean and top has browned - they say about 10 mins. Pumpkin needs some herbs (sage) or some spice (cumin/chilli) but with those and a decent stock it makes a really tasty soup. I always roast pumpkin with olive oil and some herbs like thyme and rosemary along with reonions and halved tomatoes before turning it into soup. Ratatouille wrote: I always roast pumpkin with olive oil and some herbs like thyme and rosemary along with reonions and halved tomatoes before turning it into soup. The trouble is, it doesn't use up excess Halloween pumpkin . In 1960's Australia, pumpkin was always served as a filler with roast dinners (which was invariably lamb at the time). Greengrocers sold it in chunks. Very nice too. I walked through the gardens in town this morning, and noticed that a couple carved pumpkins had been placed on the grass for the wildlife, who were taking absolutely no notice of them! I've tried pumpkin pie & with a little more success pumpkin soup from our halloween pumpkin over the years. The biggest failure was the one I had the most hope for & that was roasting the pumpkin seeds. However unlike the scrumptious ones in the shops they had tough chewy white cases still on & were horrible to eat. I don't think peeling them would be easy either! i'm pretty sure that a special type of pumpkin is grown for the seed, that doesn't have a hard 'shell'. Our local bio shop sells lovely roasted pumpkin seed nibbles. They are green and not at all tough. Several of the local restaurants serve them with drinks. There are nearly always some in my cupboard. I have tried roasting ordinary pumpkin seeds but as you all say - too much like hard work! I agree. I tried it with butternut squash seeds once- never again. About as soul-destroying as peeling shrimps. my pumpkin pie is cooling. i realised that i have a set of five (vegetarian) american cookbooks that my mother won in a raffle in the early seventies so i had a look in there, too. the recipe was almost identical to earthmaiden's other than only having cinnamon and using brown sugar. i went a bit freestyle as i didn't have a big tin of 'vap' - i used a tin of sweetened condensed milk plus a small handful of dark brown sugar - probably higher in sugar content and lower in milk than the pie should have been but tastes ok (i put the excess into a couple of ramekins and baked them at the same time as the pie). i'm not sure i can wait another couple of hours before i cut into it. interestingly, the table of measurements etc at the front of the book says that a cup of flour is equal to four ounces of sifted flour and at the back of the book it gives a complete nutritional guide for each recipe, in the style of mccance and widdowson. I canned pumpkin easy to get? I used to see it in Whole Foods Market at an exorbitant price, but I don't often get to go to a Whole Foods. Actually I have some in my cupboard that's 18 months past it's date. (Profligate wastral that I am, given it's price.) Should I chuck or use? Looking forward to hearing if it tastes nice Scully! Most tinned goods will keep long after the date on them (after all, they never used to have dates!). When my parents had a village shop, the recommendation was that you could display tinned goods for use for 7 years. Several of our local supermarkets have small American sections. They always have tinned pumpkin. well him indoors sneaked into the kitchen for a second slice so it can't be that bad! i made up an 8oz of flour, shortcrust pastry but didn't use all of it as it would have made a thick base (i prefer it thin). i cooked up the pumpkin with a couple of tablespoons of water and when it'd simmered for a while and lost some moisture i ladled some out into a jug to cool, then went and checked how much i needed for the recipe. amazingly i'd scooped out exactly sixteen (fluid) ounces (the rest of the pumpkin was made into another batch of chowder). the extra bit that i'd put into the ramekins was rather good as a pudding, too. i'm sure that as it had no pastry it couldn't possibly have had any calories - could it‽‽ (i could work out the theoretical calories if necessary - or if i could be @rsed). Ok I threw out the slightly bashed tin and will use the other one. p.s. Ocado sell two brands of canned pumpkin. £2.15 and £2.20 a pop. my massive pumpkin was free. tinned sounds very expensive for what it is - a large pumpkin costs about £3 in the shops. Excellent that it worked so well scully. Maybe I could use up the half can of pumpkin I froze last year on crustless pumpkin dessert . I was going to sling it into soup when I remembered. I bought crown prince squashes from our local pumpkin patch aka the PYO fruit place for £2 each. Four are now stored in our garage for use later in the winter. Quite a bargain really. I haven’t really considered any thing sweet, as we tend to have more of a savoury tooth, soups and roast are our squash staple. Does anyone know how long they would keep once they have been sliced open? Don’t know that we would want a whole one in a sitting? Mine had been sliced into for nearly a week and the cut surfaces covered with cling film. I had to chop quite a bit of it away as parts had gone a bit soggy but then it had already got a split when it was given to me and was too big to put in the fridge, even sliced up. If I’d had room in the freezer it would have been prepped and in there when I first cut into it. Love crown princes - good storers. Thanks Scullion, I think I may prep a whole one and process and freeze what we don’t use. I love pumpkin. I know some of you may find pumpkin a weird vegetable, but I think it is so versatile. It is a quite a popular vegetable in India, so you may find a lot of Indian recipes and it added to many things, like Dhansak. I like small pumpkin or squash stuffed with cheese and baked. I make a pumpkin bhaji. This is something my GM used to make and I am sure her GM made it too . It is very traditional and goes very well with poories. We had this Pumpkin soup in Papua New Guineain a hotel, where the chef was from Australia or New Zealand. Pumpkin Halva is also nice, if you have a sweet tooth. Pictures here have got a bit muddled up, I will change them when I make it again. If you have access to green pumpkin, ie you grow your own, try this Green Pumpkin Bhaji. It is popular in Uttar Pradesh in India. Roast pumpkin slices, rubbed with olive oil and a sparse sprinkling of fenugreek seeds is nice. I like American Pumpkin pie too, but find it too sweet these days. I have never tried tinned pumpkin, never thought of it. Is it any good? I am now waiting for supermarkets to discover green (not ripe) Jackfruit after a recent write u in the media, one of my favourite vegetables. Oooh, I fancy the pumpkin bhaji very much! This has given me an idea, I will make Pumpkin stuffed parathas, should be good. I wonder if it will work making the dough with mashed pumpkin as well. Now I have got to go and buy a pumpkin on my next shop! Oh they sound good, if you make the dough with mashed pumpkin it might not need much or any water added. Yes, there is enough water in pumpkin. I might actuality stir-fry the mash to get rid of some of the moisture and make the parathas stuffed. Taste of a filled paratha is always more intense than when you add it to the dough. Another thought occurred as I was sorting through my daily food pictures; One could easily make a pumpkin Chilla pancake with besan/Bengal gram/chickpea flour, either sweet or savoury. Pumpkin will have to wait until next week, no time before then , but it has gone on my shopping list. Last edited by Mamta on November 21st, 2018, 7:23 am, edited 1 time in total. When will I get around to doing them !! 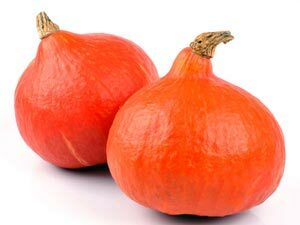 1.Grated raw pumpkin, as it is, with a hint of green cardamoms. No extra sugar added. This will be a sweet paratha. 2. Grated raw pumpkin with spices and salt. 3. Steamed and mashed pumpkin with a hint of cardamom. This will also be a sweet paratha. 4. Steamed and mashed pumpkin with salt and spices. Lets see how easy/difficult it is to roll out the mashed pumpkin ones, the filling is a little softer than I would like. I might add a little flour to it, to get it a little more 'binding'/dough like. Last edited by Mamta on November 22nd, 2018, 1:00 pm, edited 1 time in total.